Posted on December 10, 2018 by K. A.
Dimensions: 14.7 x 20.7 x 1.5 cm. No online link is available. 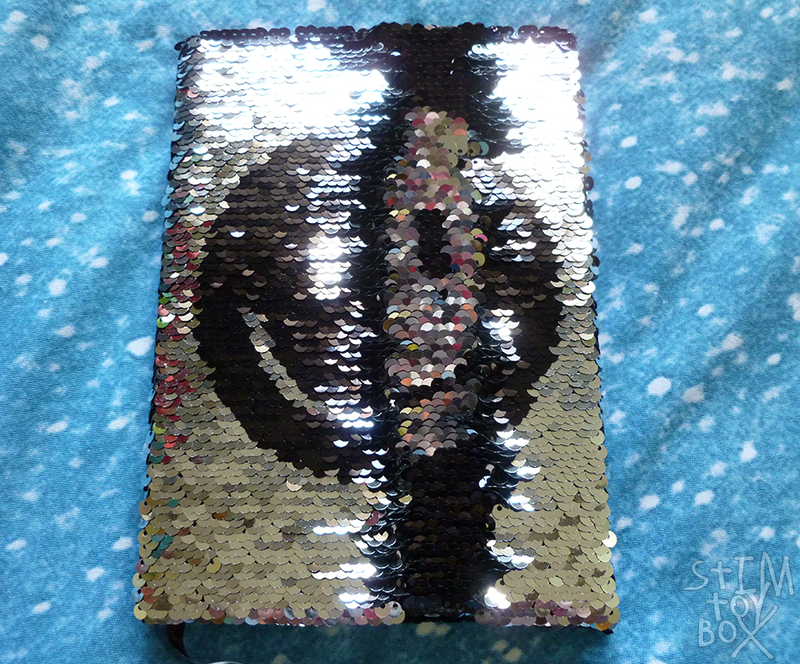 K-Mart has these older mermaid sequin journals/notebooks on clearance sale at the moment–$3 AUD down from $5 AUD. I can’t use these kind of perfect bound books because of my hand pain (I can’t handwrite for long periods of time and when I do I prefer spiral-bound books I don’t need to hold open) so I bought this as a gift for a friend. The pages are white with black lines and a cute pink scalloped trim at the bottom, simple but pretty, although the paper is fairly thin. 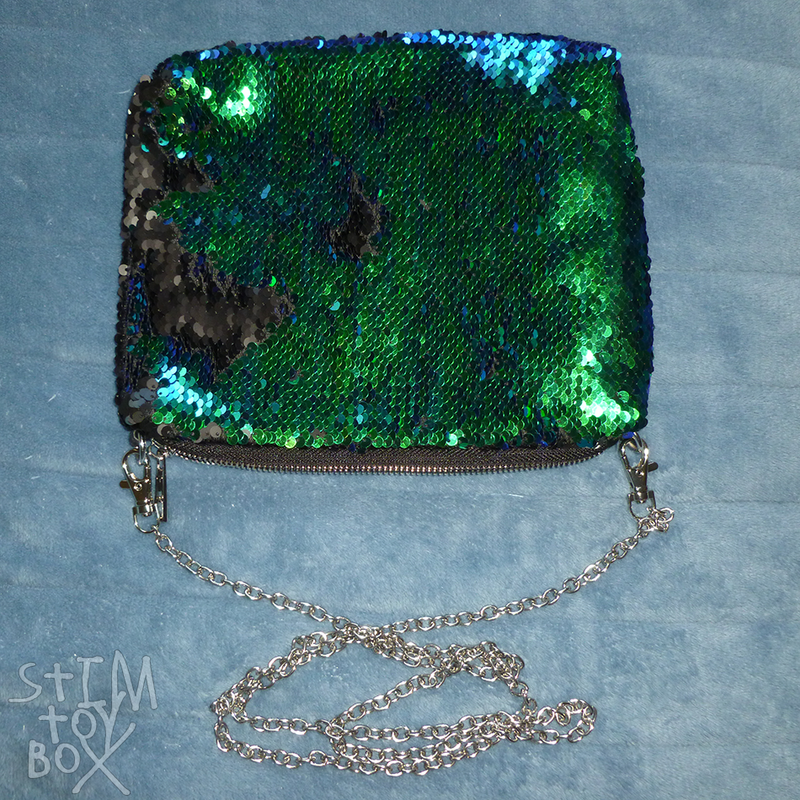 The sequins, I find, are easier to turn on a hard surface, like a book or slap band, over a soft surface like a zip pouch or pillow. I do find the sequins bulk up the cover a bit and I suspect for this reason it won’t be the most comfortable book to write in, but it’s absolutely an option if you want stim-friendly stationery. Originally posted on @stimtoybox on October 30, 2018.